Notice anyone missing? Like...I dunno...the second biggest superstar in the sport? If you're not a hockey fan then allow me to compare it thusly: would you have a top ten list of MLB superstars without Bryce Harper? A top ten list of NBA players without Stephen Curry? Of course not. So why did The Hockey News rank Ovi so low? Maybe it's because Ovechkin has yet to win a Stanley Cup. Remind me again how many rings Carey Price has? Connor McDavid is going to be a superstar someday. Perhaps even next year. But he's played one half of one season in the NHL. Who wrote this list, Don Cherry? I'd have Connor much higher, eh. Good Canadian boy! I'm not convinced that Crosby is still the best player in the NHL - but no one has pulled ahead of him yet. Kane could pass him with another 100-point season this year. The absolute lowest he could possiby be ranked. Maybe 5th if you really want to argue. Obviously everyone's list will be different. But if you don't have Crosby, Kane, and Ovechkin in your top five then you're just...wrong. Toews, Kopitar, and Patrice Bergeron are all terrific two-way centermen (that's why they keep swapping the Selke.) But there is no one in the NHL like Erik Karlsson. Did you know he was tied for 4th in scoring last year? Not 4th among defensemen...4th in the league. When was the last time a defenseman did that? Karlsson has won two Norris Trophies already and nearly won a third last year. Oh, and he's entering his age-26 season. Here's the guy that beat Karlsson for the Norris. I guess 6th place is fine. I'm a bit hesitant to put Kopi here since, again, you're splitting hairs between Bergy and Toews. Stamkos has been a goal-scoring machine when healthy, and I believe he'll score 50 goals again soon. This is where it gets tricky for me. Kopitar or Toews would be fine here - and I wouldn't argue with Pavelski. But Tavares has to be on the list somewhere. So I like goal scorers. Sue me. Tarasenko was one of only four 40-goal scorers last year, and 7 of the NHL's top 8 are on my list (sorry, Brad Marchand.) He's entering his age 25 season and I don't think he's hit his peak yet. Who's my number 11, you ask? Good question! Probably Toews. Or Kopitar. Maybe Malkin if he's healthy. 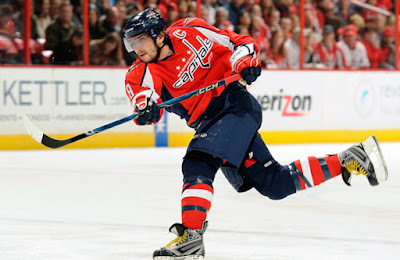 All I know is... it's not Alex Ovechkin. 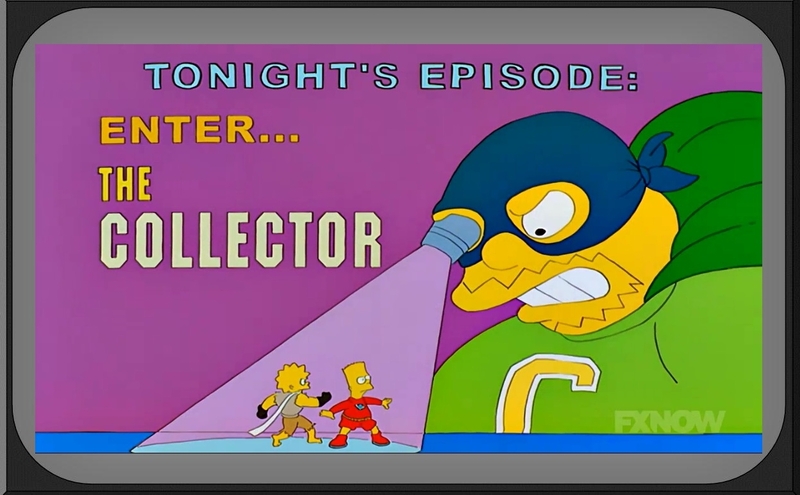 As I may have mentioned on my blog(s) I work part-time as a debt collector at a small law firm. I started out as a file clerk which made me a lot less money - and a lot less stressed out. Most of my day was spent collecting all the papers in the "file pile" and placing them in pockets. 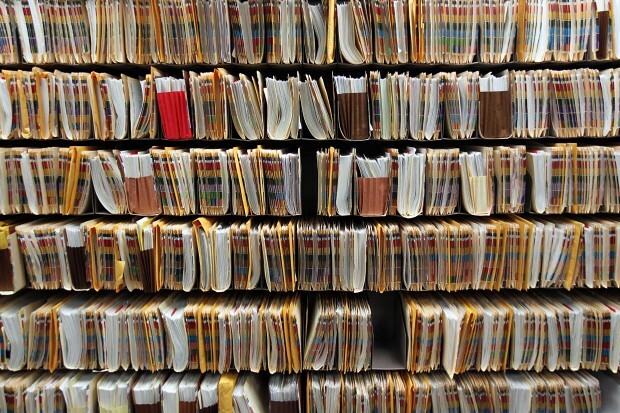 There are over 3,000 pocket file folders in our office and I became familiar with many of the names. If a person's name randomly pops into my head and I can't recall where I know them from, chances are they're a debtor. Now if you're a sports fanatic like me, you probably know the names of at least a thousand current and former athletes. 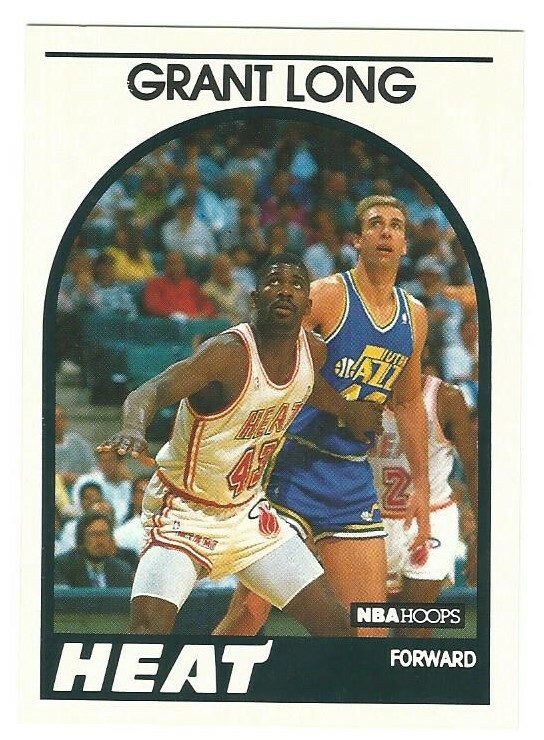 So if you hear a common name like "Joe Smith" you might immediately think of this Joe Smith or that Joe Smith. But chances are the Joe Smith in question is just...an ordinary Joe. 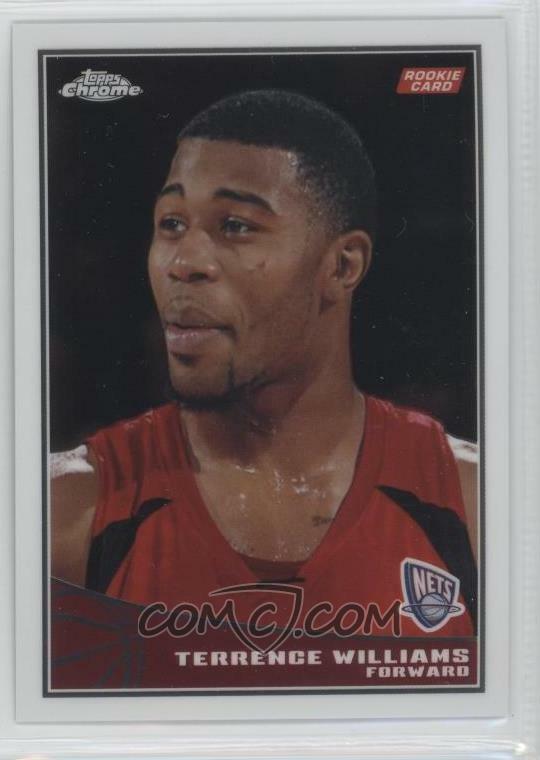 As such, I never stopped to think that any of our debtors might be former athletes until I saw printed proof - a Wikipedia page of a former NBA lottery pick. But a few months later I came across another file folder that caught my curiosity. This was one of our oldest files (it was in the basement) and I hadn't seen any paperwork on it so I had to actually open the file and snoop around to see if it was the former NBA player I was thinking of. Sure enough, it was this guy. Unlike Mr. Williams, Mr. Long never played for the New Jersey Nets - but he was a color commentator for a different NBA team, so maybe he racked up some debts while working for the visitors. 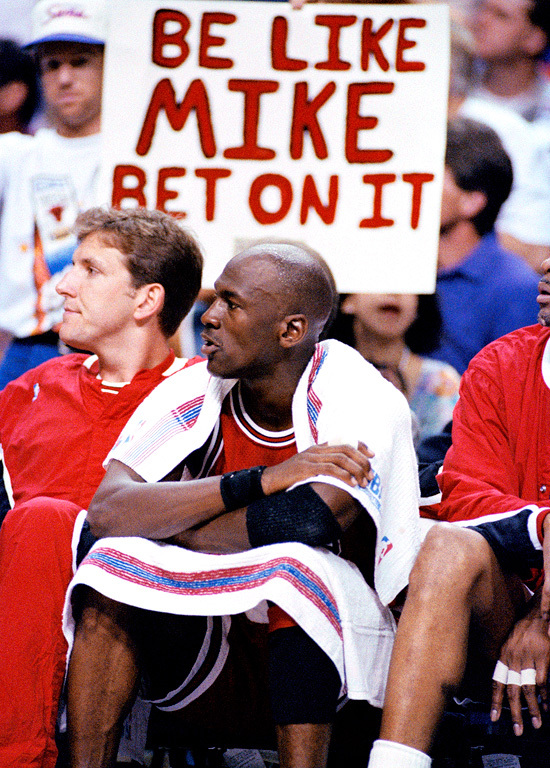 I guess they wanted to be like Mike. The third athlete on this list is not a former basketball player, and does not have a common surname. When I saw his file in our cabinet I was all but certain that it belonged to a former All-Star catcher for the Dodgers and Mets (no, it's not Mike Piazza.) Not only was this guy a deadbeat debtor, he was also listed on the Mitchell Report for alleged use of performance-enhancing drugs. Just an all-around swell guy. As with Mr. Long's file, I pulled out all the paperwork I could before someone caught me snooping (no one did), and while I don't recall who he owed or how much, I did learn that he was also an announcer - but for horse racing. Ya think he could have racked up some gambling debts at the track? Still, it has inspired a little subset in my collection - my own little "Debtor Hall of Shame"
My boss once asked me - quite randomly - how I would rate my knowledge of the Eagles. I legit could not tell if he meant the rock group or the football team, but he mentioned something about a lineman or linebacker who had a debt with our client. I looked up the name but found nothing. Perhaps he paid it off before we were able to open a file on him. Update: It appears we have a fourth former pro athlete who has owed us money for quite some time (at least five years). I noticed this file sticking out of the 'pulled files' box, which means that one of the attorneys worked on it recently. I'm a bit surprised that there are still old files I have not seen before, but that was the case with this one - until now. Mr. Becht, welcome to the the Debtor Hall of Shame! 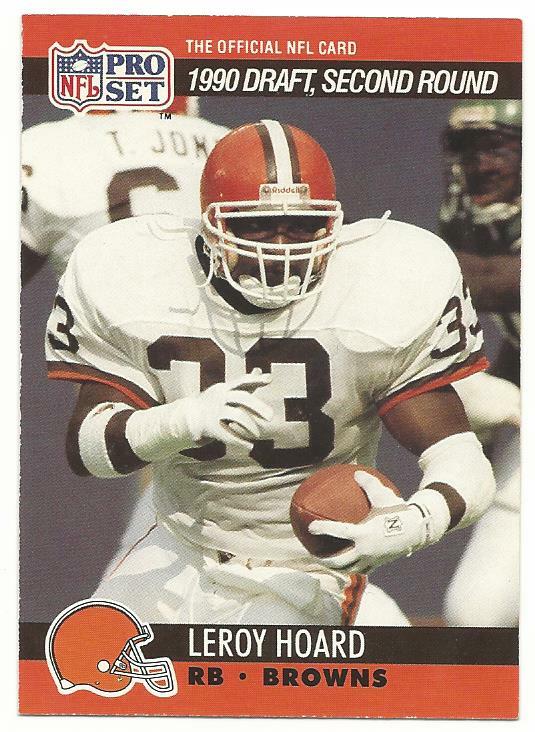 Another update: I've stumbled across an even older debt; apparently our firm has been chasing this former running back for at least fifteen years. Run, Leroy, run. There's got to be a statute of limitations on these things, am I right? My bosses haven't asked me to investigate his case, I just had to do some data entry. But it's still active as far as I know. That's a nice number to end with, considering I was at the firm for almost six years. My latest (and most expensive) order from 4 Sharp Corners arrived yesterday*. I had accumulated over $300 in PP cash from selling all my PSA-graded 1979 Topps Hall of Famers - including the Willie Stargell PSA 9 that I picked up for less than a buc. When I have that much cash to spend on cards, I like to buy a big piece. What is a "big piece", you ask? You can do what I like to do - cut your pie into one big piece and a few small pieces. With this latest 4SC order I knew I wanted to take advantage of their discounted prices on common low-end singles for my 1984-85 O-Pee-Chee Hockey project but I wanted something meaty - either from 4SC or another source. 4SC's prices on high-end cards are rarely competitive, but I found two nice cards that were in my budget. 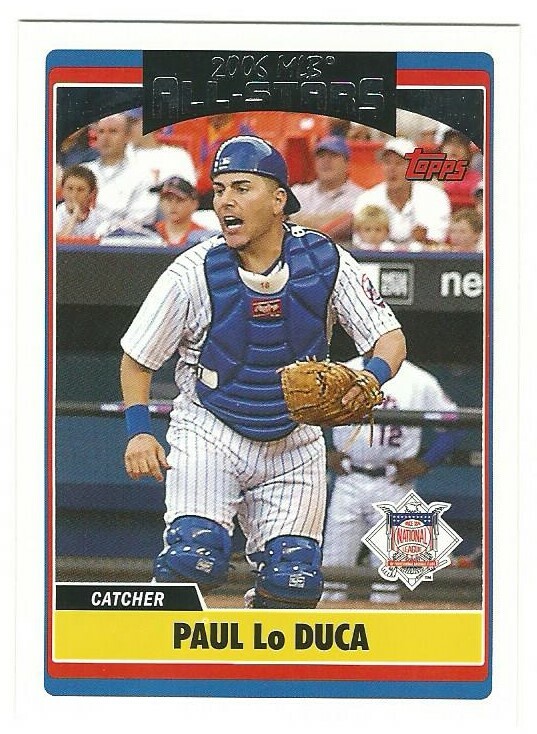 The first was a 1994 SP Alex Rodriguez RC. I do not like A-Rod. But it was an SGC 96 (always thought they were SCG - that would make more sense, yes?) and I'm gonna try PSA's crossover service and hope for a MINT 9. The second card was my aforementioned big piece. My first priority when buying a "big piece" is always Baseball Hall Of Famers. I don't have a lot of money (I'm only a part-time debt collector) so my game plan is to buy the oldest card possible, in the best condition possible, of the best player possible. That pretty much rules out first-tier legends like Mickey Mantle, Willie Mays, Hank Aaron, and Ted Williams (though I do own one Willie and one Ted.) 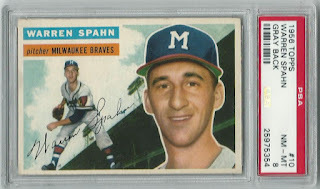 Andso I focus on the second-tier of baseball greats - HOFers like Frank Robinson, Harmon Killebrew, Bob Gibson... and Warren Spahn. 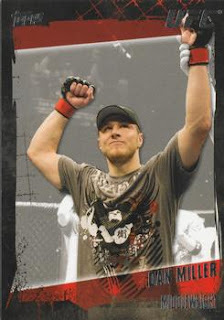 I paid just a tad over SMR value for this card, but I felt good about my purchase. This is one of about a dozen vintage cards in my $200 and over collection, and it has the added bonus of being a 1956 Topps card. 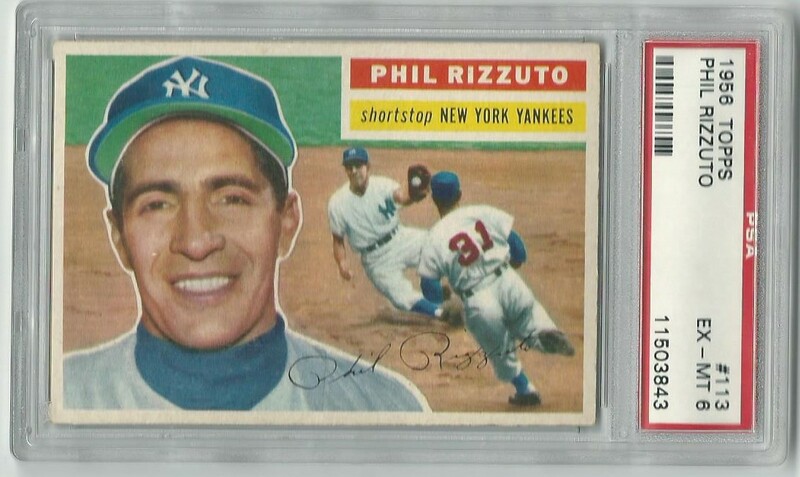 But once in a while Mom would pick out a vintage baseball card from the local card shop, place it an a big acrylic holder, and slap some wrapping paper on it. Just so happened that she picked a pair of 1956 Topps cards - Sandy Koufax and Phil Rizzuto. A few years later when PSA piqued my interest, I decided to include both cards in my very first grading order. Still have 'em. And because they were Christmas gifts from the woman who brought me into this world, I don't plan on ever selling 'em. 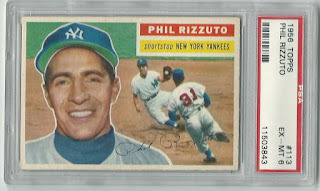 Phil's final card; "Scooter" was released in '56. Then a very bold (and probably very foolish) thought entered my mind - I should start adding more 1956 Topps cards to my collection! And so every time I placed an order at PSA or 4SC or even a major card shop like Dave And Adam's, I'd do my best to add a '56 to the cart. First came Jerry Coleman. Then Al Rosen. Then Ken Boyer and Wally Post. 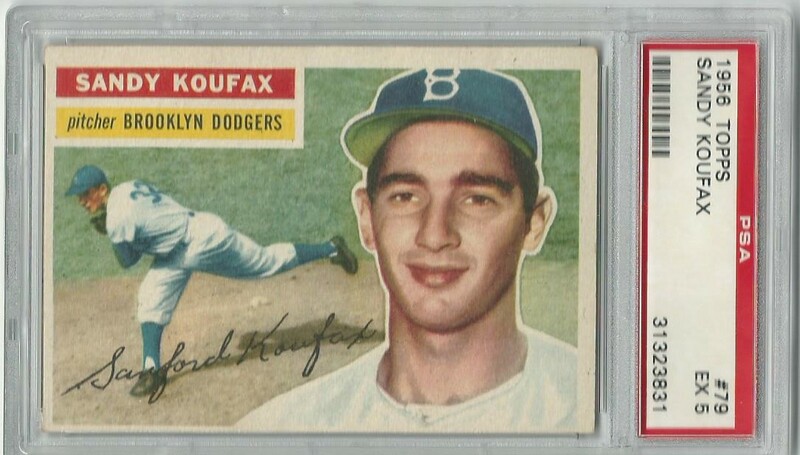 When I purchased a Nellie Fox PSA 6 I had my third Hall Of Famer. Am I really doing this? COMC's ungraded cards yielded a lot more bang for the buck than Battlefield. I now have 27 PSA-graded 1956 Topps cards, with a few more in transit to PSA. By the end of September I'll have one-tenth of the 340-card set in EX 5 or better. 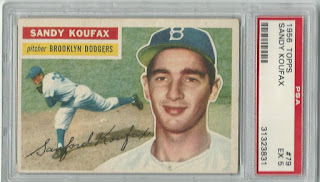 It's getting harder to convince myself that I'm not collecting the 1956 Topps baseball set. I just hope I'm alive long enough to finish it. 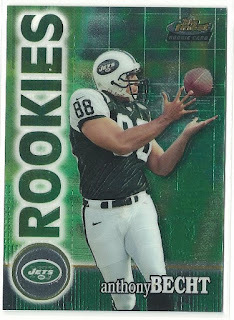 I've thought about starting a sports card blog for years. My head would swell with topic ideas and layout designs.. but I never seriously considered blogging specifically about baseball cards. Once in a while I'd write a sports card post on my personal blog The Pedestrian Writer, and while I did get a number of thoughtful comments I always felt like I enjoyed writing them more than my (mostly female) audience enjoyed reading them. That's not to say women can't or don't collect sports cards - my wife owns thousands of hockey cards from the early 1990's to the early aughts. But I want to write more posts about all kinds of things - and I want to engage the audience with mutually interesting stories. I started to notice that some bloggers had two blogs, and so the only thing that stopped me from segregating my sports interests from my personal thoughts was time. I never seem to have enough time to do half the things I want (haven't we all felt that way at one time or another?) and if I'm writing posts for two different blogs then I'm spending less time commenting on other blogs. And that would make me feel quite guilty. Instead of writing long-form posts once or twice a week like I do on my personal blog... 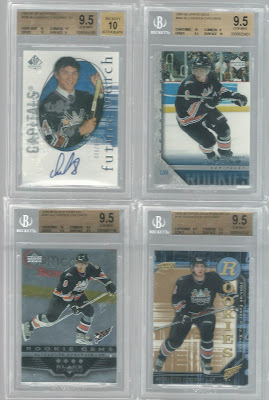 I will (endeavor to) write very short posts about my sports card and memorabilia collection once a day. Most of them will be under 500 words - perhaps even under 100 words. 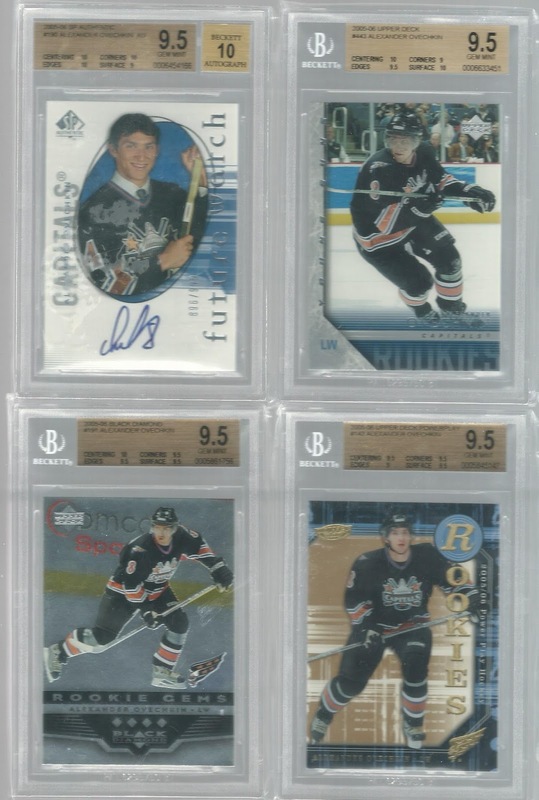 Some days I'll post about my latest addition to my collection, or my favorite sports card websites, or my experiences buying and selling certain cards. 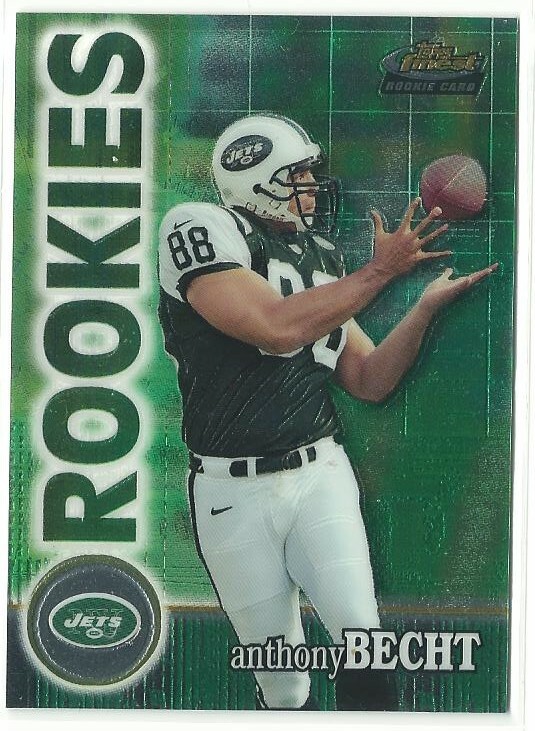 I'll be sure to share updates on player and set collections and, when I don't have anything new to report, I'll pull out a random card from my collection and share some (hopefully) interesting thoughts about the card. Perhaps I'll even include a top ten list once in a while. I welcome your feedback on anything you read here or on my other blog. Happy collecting!